Martin Sons & Co. is famed for supplying the finest British fabrics to the world’s top design houses for couture and ready-to-wear fashion. 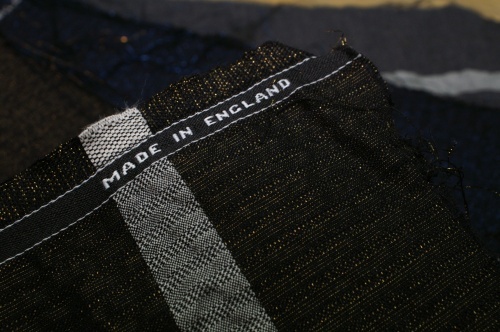 Our experts work in partnership with designers and buyers from premium international brands to develop bespoke cloths, woven in Huddersfield. We follow global trends in fashion, fabric and yarn to remain at the forefront of modern worsted and woollen textile design. 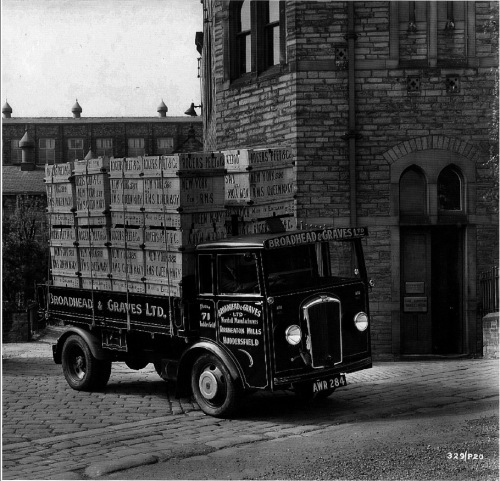 Combining innovation with tradition is an integral part of the Martin Sons & Co. ethos. 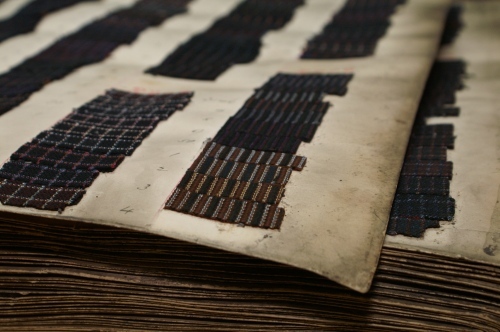 The brand’s design heritage dates back to the 1840’s and is well documented in our purpose built Archive room. Using the archive for inspiration we offer a pro-active design development service as well as our own seasonal collection. In the 1840’s Patrick Martin, a talented young cloth designer from Belfast, emigrated to Huddersfield, where he worked up through the ranks in West Yorkshire’s thriving mills. In 1859 this energetic entrepreneur established his own business, Martin Sons & Co. at Wellington Mills, producing fancy woollens, silk twists and fine worsteds. When Patrick Martin died in 1880, his eldest son, Henry Martin took control of the company. An enterprising innovator himself, Henry grew production, increasing the mills original 20 looms to a massive 600, all dedicated to producing worsted goods of the finest quality. The company’s operations covered an area of 42 acres, and in its heyday, employed 1750 people, making it the single largest employer in Huddersfield. In 1907 Martin Sons & Co. invented Fresco®, the iconic and original Travel Cloth. Designed with a high twist worsted yarn and a porous plain weave Fresco® is cool, crisp and naturally crease resistant. HFW continue to make this cloth and it remains one of our best sellers, worldwide. “The ultimate suiting for business travel” - Simon Cundy, Henry Poole & Co. 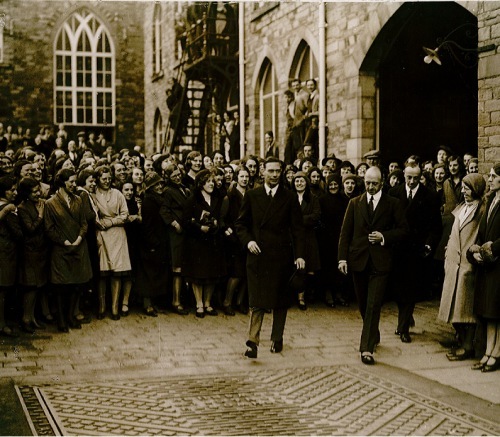 Such was the reputation of this revolutionary mill that in 1912, Martin Sons & Co. were honoured with a visit from King George V and Queen Mary. Despite great success and international acclaim, by the late 1950’s the business was in severe decline. 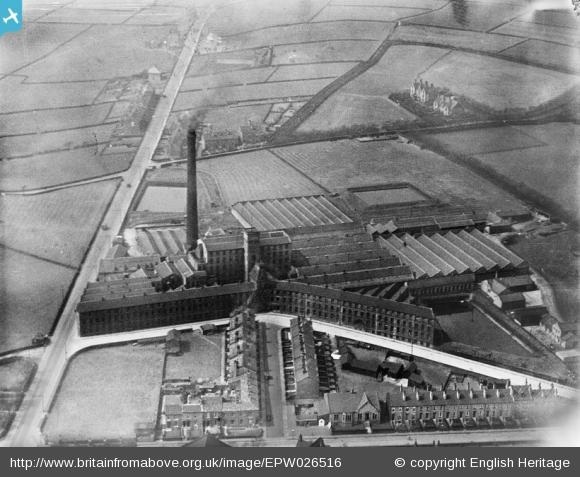 The Martin family sold the name and like so many other mill names Martin Sons & Co. became part of a larger group of textile companies, eventually re-locating to Kirkheaton Mills in 1976 and in turn becoming part of Huddersfield Fine Worsteds.